Advocacy is a top priority for our chamber and a priority concern of our members. And our members are especially concerned about impacts to their businesses by the policies, taxes and regulations imposed on them by the state of California. That’s why the Elk Grove chamber has teamed with several other local chambers of commerce in the Sacramento Region to form UCAN – the United Chamber Advocacy Network – where you can make a difference for business in California! The UCAN Chambers have developed our 2018 State Policy Agenda based on direct feedback from our members, who in December expressed concerns about Taxes, Regulations, HR Policy, Legal Liability and the state’s overall Business Climate. Through UCAN, our chamber has our own lobbyist, working with our legislators and their colleagues to advance your priorities at the State Capitol. 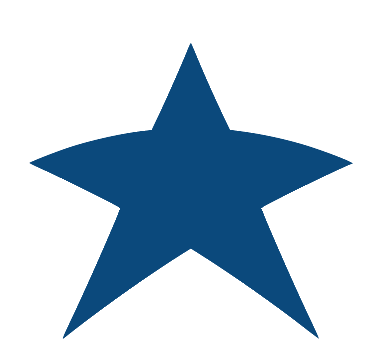 Click on the links below to find out how we are working to represent you at the State Capitol. 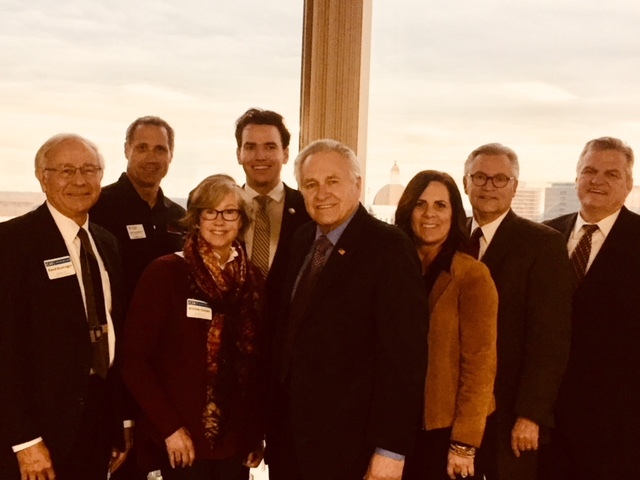 Roseville Area Chamber of Commerce leaders with Senator Jim Nielsen and Assemblyman Kevin Kiley at the UCAN Launch event on February 28 in Sacramento. 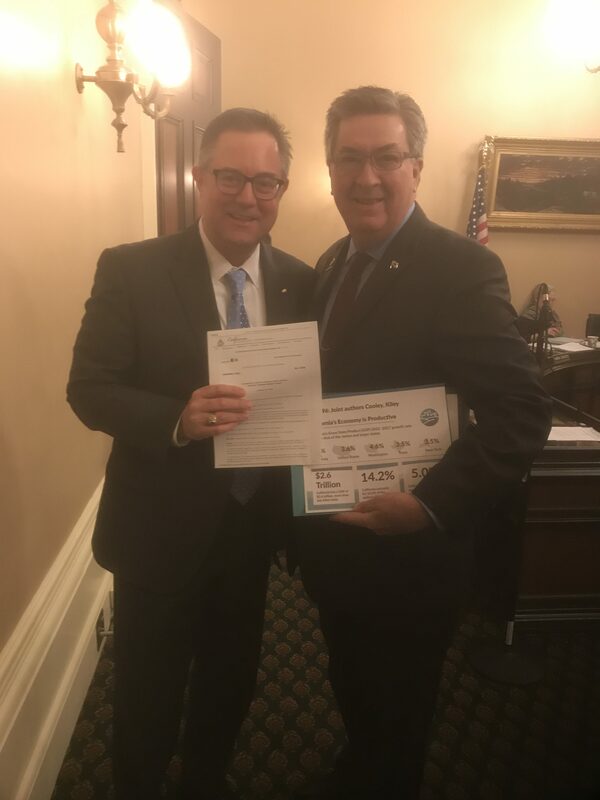 UCAN lobbyist Dave Butler of Advocacy and Management Group with Assemblyman Ken Cooley after he presented AB 2596 to the Assembly Committee on Jobs and Economic Development.